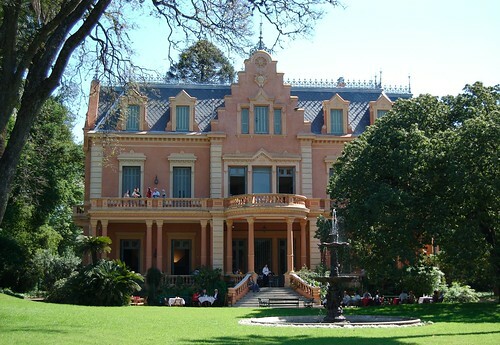 Villa Ocampo, a beautiful homestead in the suburbs of the city, was a meeting point for intellectuals and authors of the early twentieth century. Rabindranath Tagore, Antoine de Saint-Exupéry, Borges, Bioy Casares, Octavio Paz, Albert Camus, Stravinsky, Le Corbusier, Malraux and Indira Gandhi are just a few of the guests that were welcome to the villa by renown Argentine author Victoria Ocampo. She later donated the stately residence to the UNESCO out of fear that the Peronist government of the time, who censored her, would destroy the place. Additionally, it was her wish that Villa Ocampo remain as a cultural juncture. Now a day the property functions as a museum with temporary exhibitions and live music. The current exhibitions include a presentation of Victoria and architecture, (she introduced rationalist architecture in the city), and an exhibit of an unpublished issue of the SUR magazine on Surrealism. You may also sit down for lunch or tea in the gardens (we suggest some tea with scones). Sat and Sun- 2.30pm, 3.30pm, 4.30pm. By train- From Retiro on the Train that goes to TIGRE. Get off at the Beccar station and either take a cab or walk 7 blocks until Puente Uriburu and then turn to the right at El Ortondo. By car-Drive straight down Av.Libertador up to the 17,400 where Puente Uriburu is and turn right, one block, then right again at El Ortondo. This entry was posted in Argentine Culture, Off the Beaten Path, Where to Go, What to Do and tagged Architecture, argentine culture, argentine writers, buenos aires,, fierro hotel, Off the beathen path, places to go, Places to see, suburbs, tourism, Travel, Villa Ocampo by Fierro Hotel Staff. Bookmark the permalink.